Veritas Calvary Chapel - Loving God. Knowing Truth. - 501(c)(3) Approval! 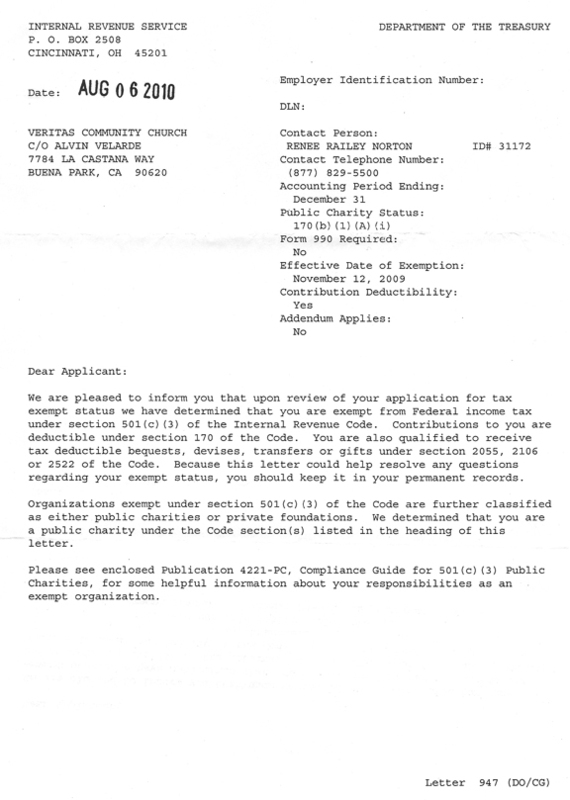 After a lot of effort and paperwork, we have secured our 501(c)(3) status. This means we are an official non-profit organizations and any donations are therefore tax-deductible. This is one more exciting milestone on the path God has taken us. We are continuing to move forward and take the steps that we can while continuously looking to His grace and mercy to lead us forward.